Mesmeric Blue Shade Shimmer Georgette Saree. Mesmeric Blue color Shimmer Georgette Saree created with plain taxture, resham and patch border work. Include with matching unstitched blouse. Its a pretty Shimmer Georgette saree for wear on Festival and Party. 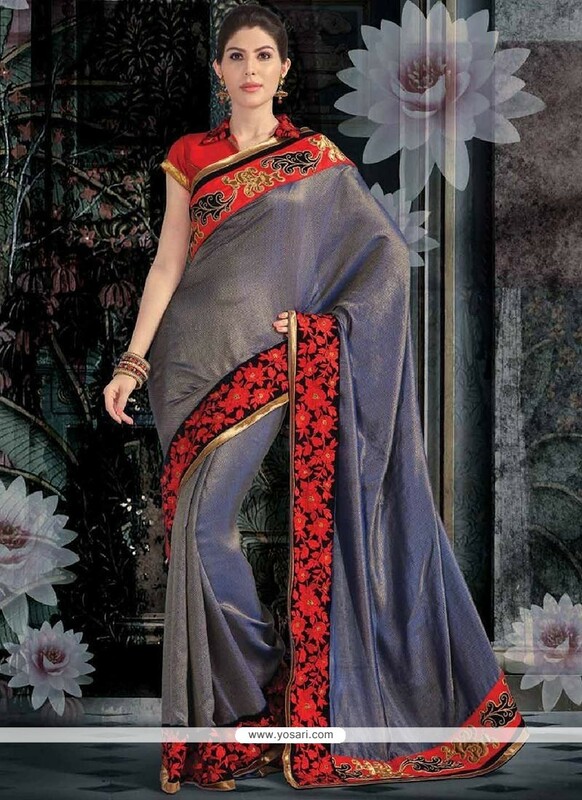 Shimmer Georgette Fabric and Blue color Patch Border and Resham used to make this stylish Saree.